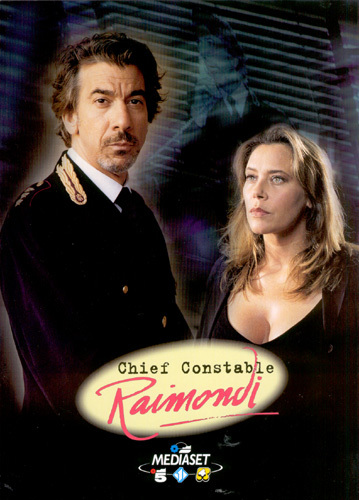 Having asked for some time off, Chief Constable Raimondi (Marco Columbro) leaves Milan for Naples to join his wife Luciana (Barbara Rossi) who, with his daughter Alberta (Alberta Viti), has gone back home to her father Vittorio (Antonio Casagrande), to have a break and think things over. On his arrival in Naples, Raimondi finds that his wife’s step-brother, Paolo (Domenico Fortunato), has been kidnapped and the Neapolitan Chief Constable Amoruso (Antonio Campobasso) suspects Luciana and her friend the architect Quaglia (Lorenzo Majnoni). Raimondi, partly out of jealousy and partly because it’s job, investigates the crime and ends up getting into trouble and becoming one of the suspects in the Quaglia murder case. Meanwhile Luciana decides to make it up with her husband and goes to see him, but a misunderstanding, caused by the beautiful Esmeralda (Lola Pagnani), estranges them once again. Raimondi finally discovers the hideout where Paolo is being held prisoner, but the kidnappers find out and threaten to kill him. Raimondi manages to get the better of the gang of kidnappers and free his wife’s step-brother, but the identity of the person who has pocketed the ransom and killed one of the criminals is still unknown. Raimondi would like to give un the case and devote himself exclusively to winning back his wife Luciana, but he discovers that his daughter, Alberta, has become engaged to the main suspect and provided him with an alibi. But Luciana accuses him of being concerned solely with his work and neglecting the family, and goes to the lawyer Tagliamonti (Mariano Rigillo) to begin separation proceedings. Raimondi tries to concentrate on his wife, but further misunderstandings prevent them from getting back together and the Chief Constable, who in spite of everything has solved the case, returns to Milan without his wife. But Luciana unexpectedly joins him , because she realizes that what he has done was entirely for her sake.